Fun and functional Puff-Ball™ keeps hands dry and in control providing a better grip for a more effective release. Made of 100% woven terry velour to remove moisture quickly without residue build-up. 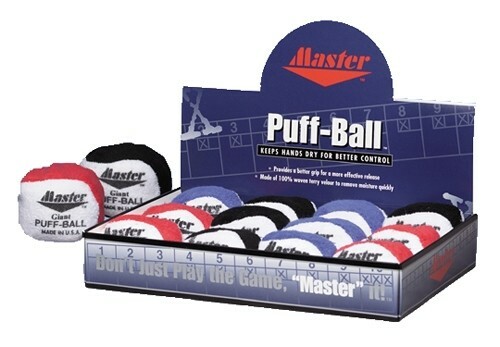 Due to the time it takes to produce the Master Giant Puff-Ball Dozen ball it will ship in immediately. We cannot ship this ball outside the United States.